Time Calls Chris Christie "The Elephant in the Room"
The latest issue of Time magazine hits newsstands Friday featuring New Jersey Gov. Chris Christie on its cover, fresh off his re-election. But it’s not the article that has people talking -- it’s the headline that some people say is a jab at the governor’s size. 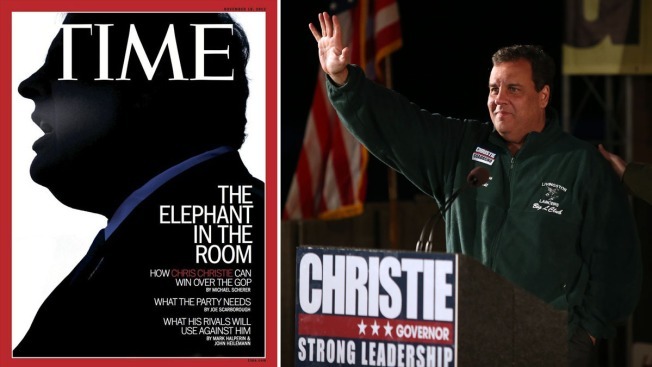 The cover features a silhouette of Christie’s face with a caption that reads, “The Elephant in the Room.” The cover, which Time defended as a tribute to Christie’s "outsized influence" on the Republican Party, struck some as a cheap shot. "It's offensive but, you know what, he's losing weight and he's doing great," said Laura Lucia. People on social media and writers on news sites also took issue with the headline. Christie recently had lap band surgery. His press secretary told NBC 4 New York "we're not saying anything about it" in reference to the cover. What do you think of the cover? Let us know on our Facebook page and we could read your answer on Today in New York.